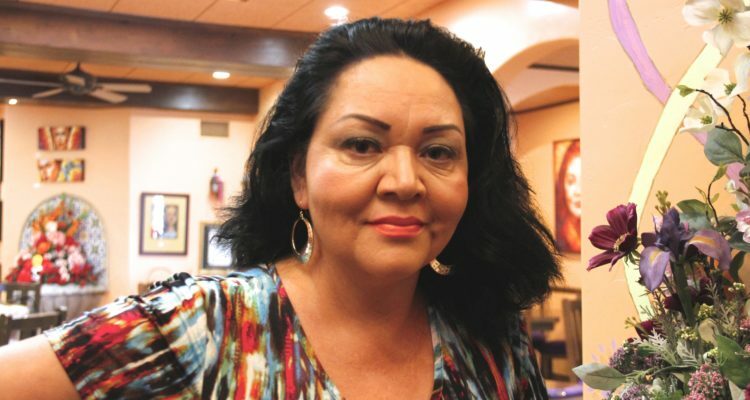 Josefina López at her Casa Fina Restaurant. 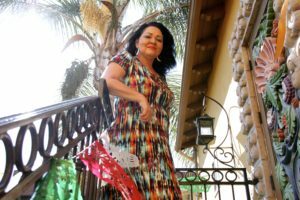 When she was five, she and her parents immigrated to Boyle Heights from San Luis Potosí, Mexico. 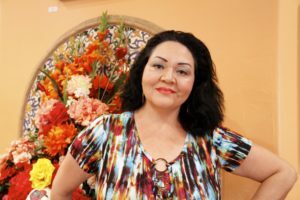 She grew up in Boyle Heights and was in the first graduating class of the Los Angeles County High School for the Arts. 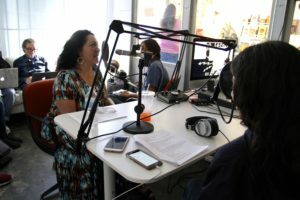 Drawing upon her own experiences as a “first gen” Latina, she has spoken out about the rights of women, immigrants and people of color in her works. 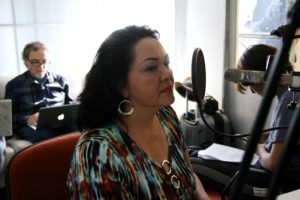 López interviewed on the Radio Pulso podcast at Espacio 1839. 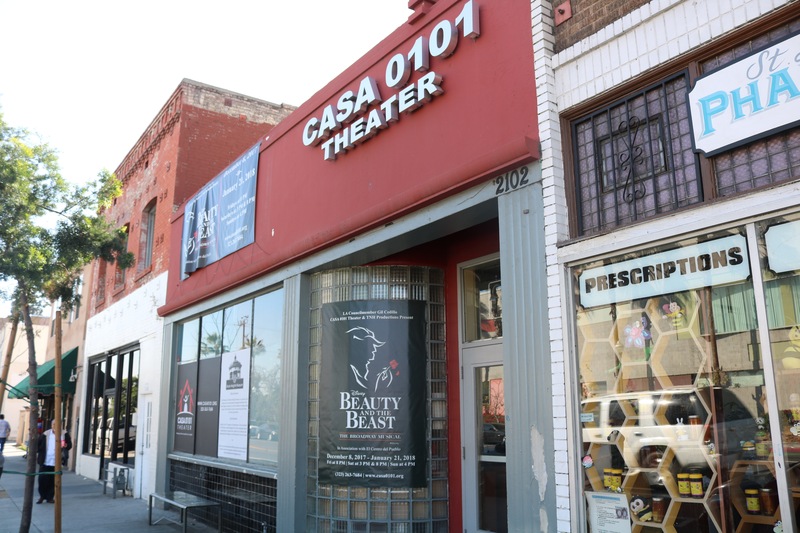 In 2000, she opened CASA 0101 in Boyle Heights, a theater designed to provide youth and adults with opportunities to learn more about art, theater, culture and filmmaking. With the help of grants from foundations and government agencies, she has been operating the theater for nearly 18 years. (Among Casa 0101’s funders is The California Endowment, which also supports Boyle Heights Beat). 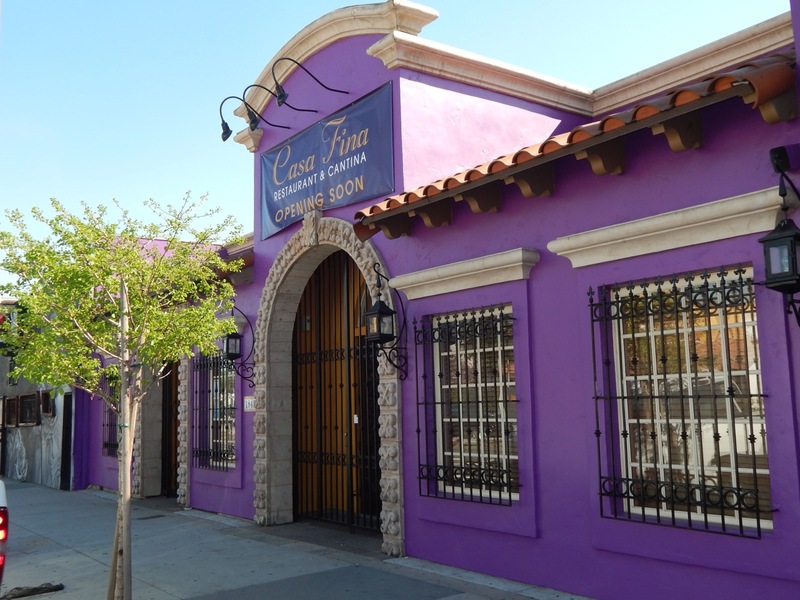 Last year, López opened a Mexican restaurant, Casa Fina, across from Mariachi Plaza and just a few blocks away from the theater. Boyle Heights Beat Reporter Rosario Bonilla interviewed López on the Radio Pulso podcast about her career as a playwright, the challenges she’s faced running a theatre and her hopes for the future of Boyle Heights. The interview has been edited for clarity and space. Q: As a female immigrant, growing up in a Latino community, what have been your experiences in the arts and the theater? A: In the beginning I felt like I wasn’t represented on stage or on film. 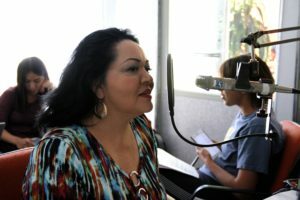 As Latinos, we have been told in every which way that we don’t matter, that we are invisible — especially people who are indigenous, people who value their Native American roots. We’ve been eradicated, made invisible, and that’s one way that we’ve been disempowered. So, I realized the most powerful thing you can do is to own your humanity. My writing teacher said write about your life, write about Maria. I felt like she said “you matter.” I became the protagonist of my story and the protagonist of my life. I realized we’ve all been left out of this story. We are always the supporting characters, and we have to say no. My job is to show people that everyone belongs in the theater, everyone belongs making films, everybody has something important to teach someone else. And that’s why stories are so important. Q: You are a well known playwright, you run a theater and now you own a restaurant. Can you tell us what drives you? A: One of the things people ask me is how I can have so much energy and how come you are so passionate? I have to fill my life with passionate things that have meaning. That’s why running a theater and challenging people to think outside of the box is so exciting to me. I don’t like to live in the box. To me, the arts is the way I found my freedom, the way I found my healing. The worst thing that happens to us, that causes us a lot of pain, is when we are left out. A lot of my work has to do with trauma. Trauma shatters you and breaks you into pieces. The arts make you whole again. I want everyone to get the kind of healing that I’ve gotten through theater and the arts. Q: The community has changed a lot over the past couple years. Are you addressing this in any work your theater is doing? And how? 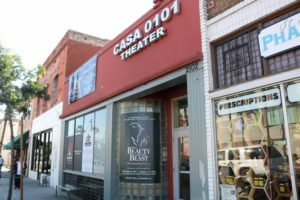 One of the things I wanted to do with my theater when we just started was to change the way people viewed Boyle Heights. The only stories done back when I was growing up were about the drive-by shootings. That was what dominated the news. I wanted to change the image of Boyle Heights. We did a great job of changing the reputation, but now people want to live here and buy houses and take over. It’s kind of frightening to me, to see how many people have been displaced. I wanted to do theater for the people of this community. 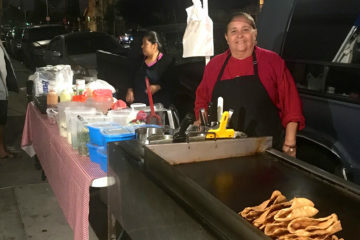 I want people to come and visit Boyle Heights and discover it’s not violent or the awful place the news has told them it is, but now I want people to come visit and not stay. Gentrification is a very complicated issue. What’s at stake is the loss of this rich history that is so important and shouldn’t be erased through gentrification. 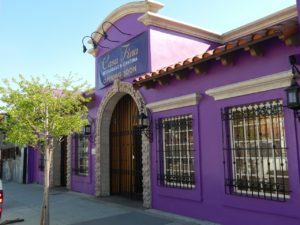 Q: Casa 0101 has been around for almost 18 years and it’s offered a lot of opportunities for kids, and workshops, but lately it has been having financial difficulties. Can you talk to us about that? A: Most theaters do the classics, Shakespeare and Chekhov, everyone you study in school. What I always wanted to do is give opportunities to teach people to write, direct and produce so that we can tell our own stories and speak for ourselves. When you do this kind of work and you take risks, you don’t often make money. To me, this has never been about the money. This is about telling our story. We have to be responsible for our stories and show the dignity and resiliency that we have living in this community, being immigrants, being women, people of color. A lot of the work that we do is free. We offer free acting classes for children. We don’t want our community to be left out of the arts. We made theater accessible and inexpensive, but the only way we can keep doing it is if people help us by becoming donors. All photos by Katlyn Valdez for Boyle Heights Beat. 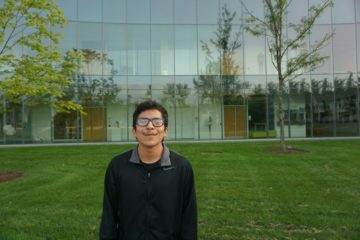 Rosario Bonilla is a senior at Óscar de la Hoya Ánimo Charter High School. She enjoys art and reading. She hopes to attend a four-year college after high school. 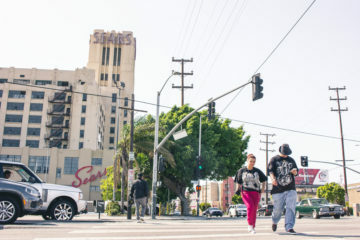 How Safe is Boyle Heights?